I waited quite awhile to read this 2nd book (loved !!!) because sometimes the 2nd book is disappointing if you read it too close to the first one. Even though I am giving it four stars---many books I read I give 5 stars because I love them, this 2nd book was really, really good but you had to really hang in there with Ethan and Lena because their relationship is so unsettled---so you as the reader question what is really going on. I particularly enjoyed Ethan's best friend, Link because he ALWAYS is there for Ethan, even when he is scared to death! He is a real hoot, he doesn't push Ethan away with questions or judgments, he truly cares about Lena and still pines for Ridley and her lollipops! Ridley reappears and gets a come-uppance, we will see what the future hold for her. A new character I really liked was Olivia, the British Keeper-in-Training with Margaret, where Ethan has a summer job in the human library. But that doesn't stop him from exploring the tunnels under the library, trying to figure out why Lena is slipping away from him, a little bit each day, until one day she is gone from Gatlin. I love all the history in this book about the war, about the normals and the Casters. There is lots of horror, fantasy, and Ethan's love for Lena is definitely put to the test. I love their telepathic thoughts to each other (Kelting) and the odd cast of characters that mean them harm and vow not to allow a Mortal/Caster union. I look forward to #3! 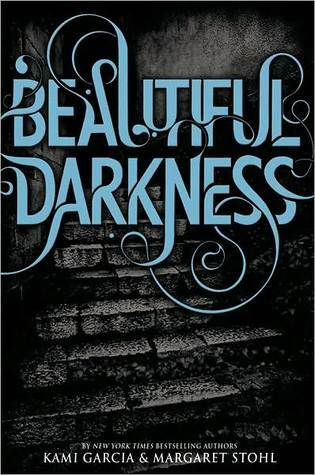 Sign into Goodreads to see if any of your friends have read Beautiful Darkness.